When this beauty came for me in the mail, my face was a real life copy of the heart eye emoji. I’d seen so many pictures and blog posts of the Tartelette in Bloom Palette but having it in my hands was just something else. I can honestly say that this is the most beautiful palette I have owned, or ever seen for that matter! I had heard mixed reviews about the original Tartelette palette but I’ve only ever ever heard good things about the Bloom palette, so that’s why I finally decided to make the investment. I featured it on my Instagram Stories a couple of weeks ago, but now that I’ve had the chance to play around with some of the shadows, I think I’m ready to write up a full review. First off, it smells like chocolate. Specifically Kinder Eggs. 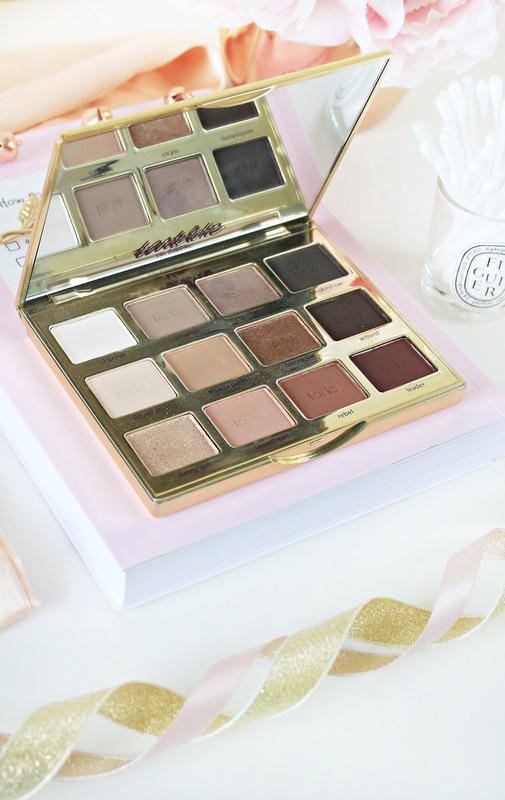 I’ve never owned the Too Faced Chocolate Bar Palette but I can imagine this smells quite similar. It’s not so heavy that you can smell it whilst the shadows are on your eyes (which would get annoying), but it’s a light fragrance that makes applying them that much more special. Onto the important stuff – the eyeshadows themselves. 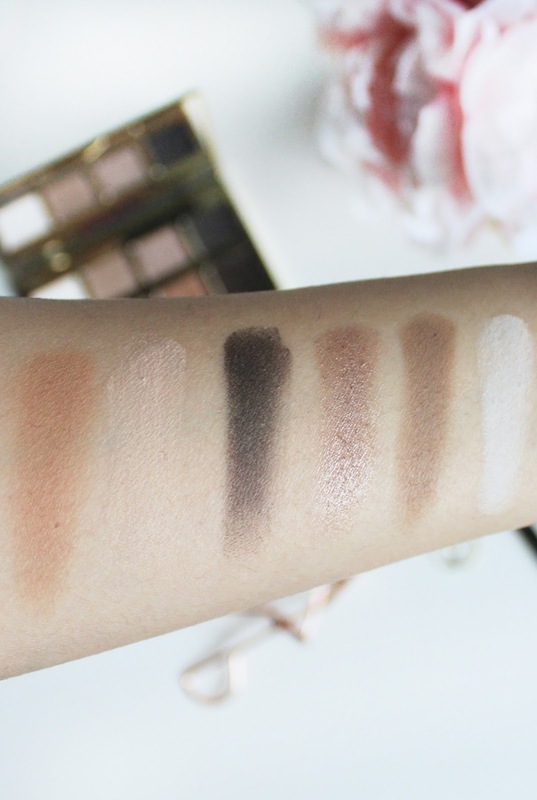 The palette comes with sixteen different shadows, all in neutral, wearable tones. There is a variety of shimmer and matte shades, with thirteen matte shades and three intense shimmer shades. This is the first palette that I can look at and say that I’d 100% wear every single shade inside. 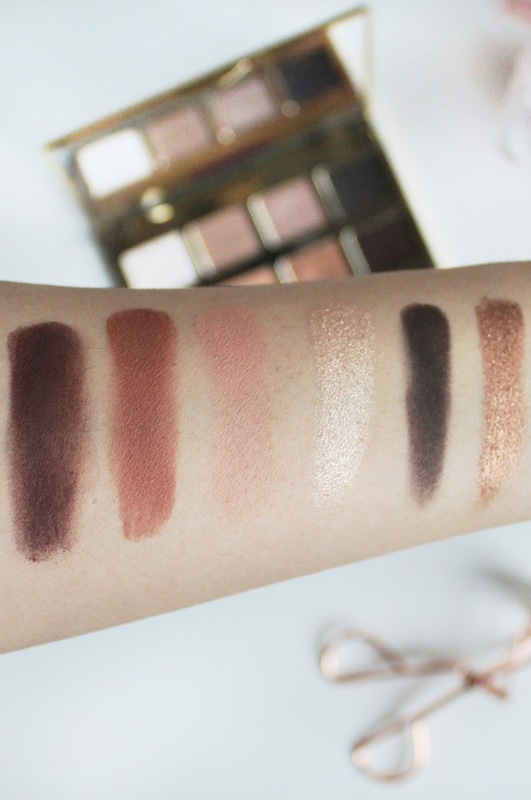 There are so many looks that can be achieved with the selection in the Bloom palette that I’m pretty sure you wouldn’t need any other palette if you’re a neutral eye look lover. It’s the perfect palette for everyone, no matter what their age – for young to old, for beginners to pros. This is such a versatile little number. My favourite eyeshadow shades are Funny Girl (a beautiful champagne sparkle), Smarty Pants (the perfect transitional matte tan) and Rebel (the ultimate chestnut brown crease shade). I’ve been wearing them the most, either on their own (the sparkle) or blended across the lid and crease (the mattes) for super wearable and easy daytime looks. If you wanted to transform your eye look into something more evening appropriate, adding a smudge of Activist (a rich, dark brown) or Smoke Show (even darker black brown) along the lash line would be perfect. The wear time of these is excellent. I managed to wear a whole eye look from 8am-6.30pm without creasing, with just a dab of primer beneath the shadows. The pigmentation is strong and most of the shadows are very smooth (the exception being Flower Child, I found that to be a bit chalkier). They blend really easily with any good blending brush – my favourite are the Zoeva Eye Brushes. As I mentioned before, the packaging is stunning. I can see this being the perfect Mother’s Day gift, Anniversary gift or birthday present for any makeup lover. If you’re just starting out, this is a really beautiful investment to make and I am pretty certain that you won’t be disappointed. It’s definitely a purchase that I’m glad I made, even though it’s certainly more up there in price. This palette retails for £42.50 on QVC (and as far as I’m aware, this is the only place that this palette is available for purchase in the UK – correct me if I’m wrong!). 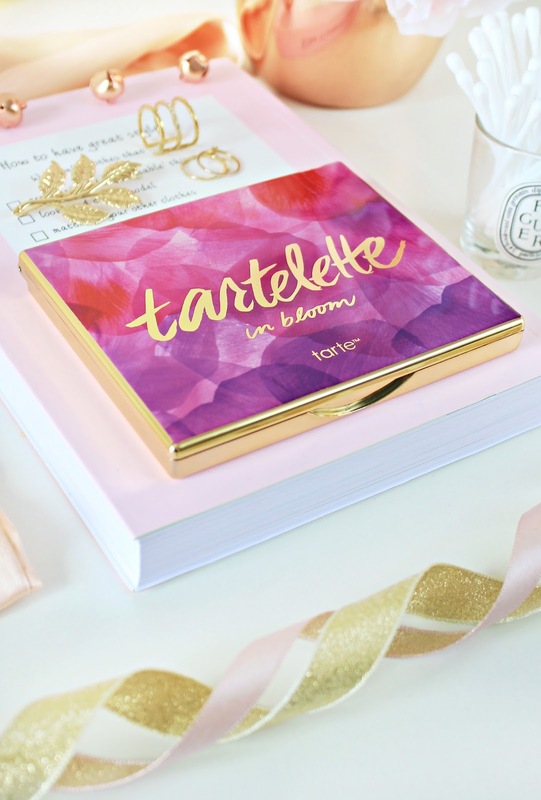 Have you tried the Tartelette in Bloom Palette?